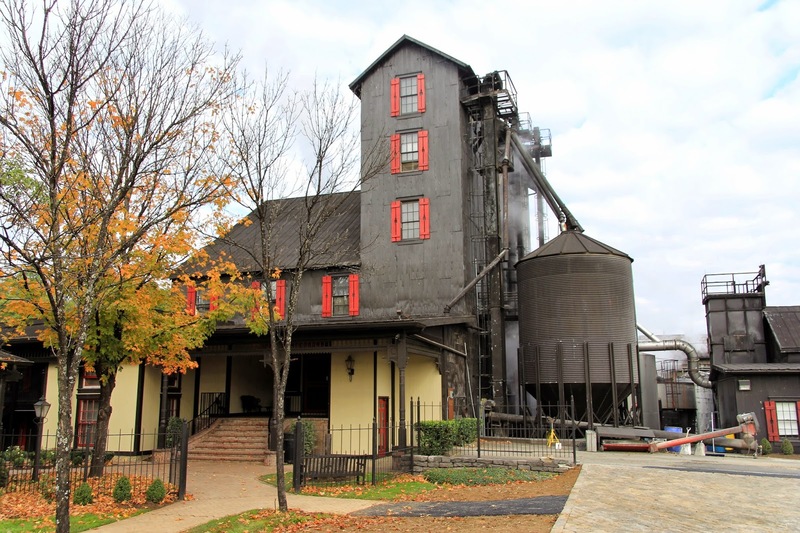 In October, 2014 Mrs. Wonk and I toured eight whiskey distilleries in the vicinity of Louisville, KY, and Nashville, TN. 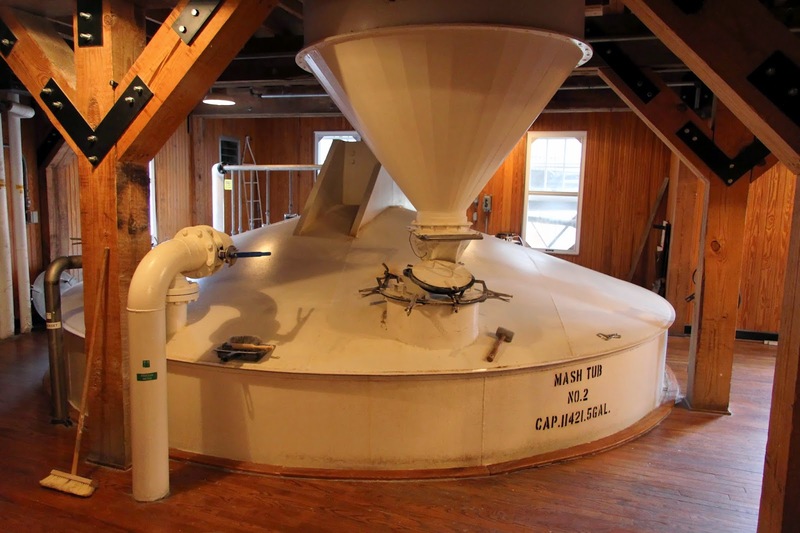 In a prior post, I described the common elements of these tours in detail, while this post focuses on the unique parts of our Maker’s Mark Distillery visit. 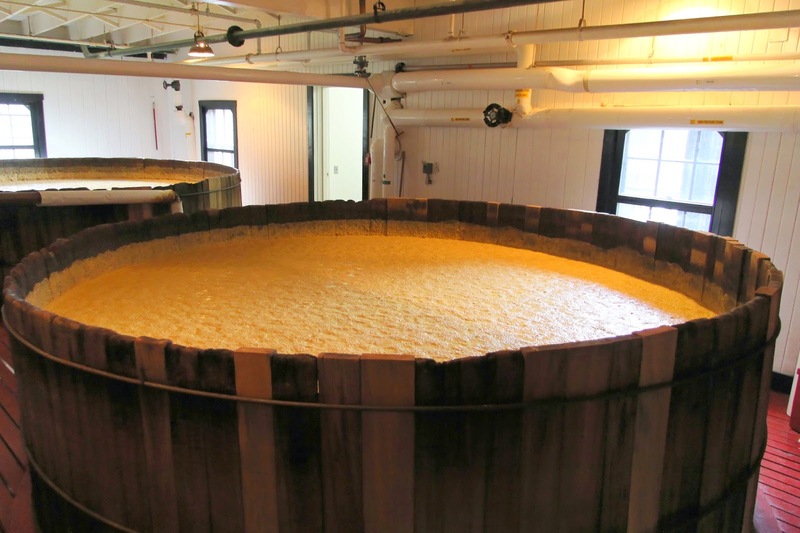 If you’re not familiar with the whiskey-making process, it’s a good idea to read that post first. 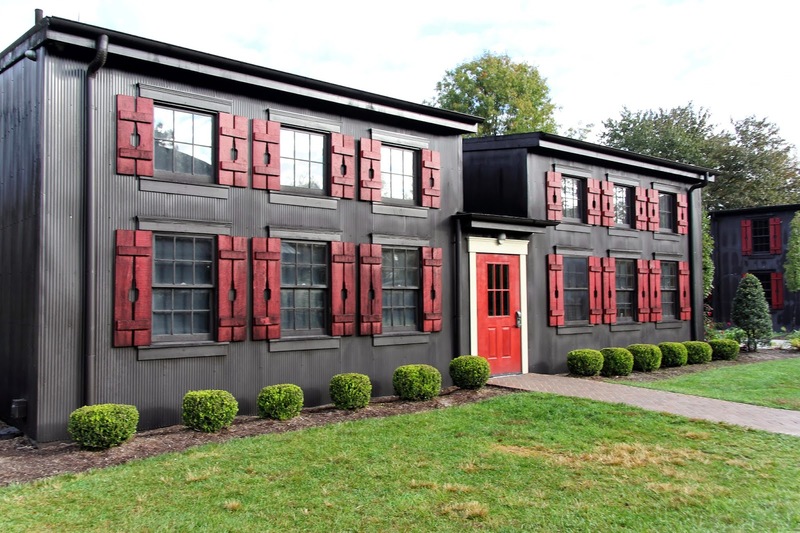 The Maker’s Mark Distillery in Loretto, KY, makes only a small handful of whiskeys, with the well-known and loved Maker’s Mark as the moneymaker. From the distillery’s start in 1954 up until 2010, it was their only regularly produced spirit. In 2010, they released Maker’s 46–aged a bit more via charred French oak staves. There are also a few limited release bottlings including Maker’s White (unaged), Cask Strength, and Maker’s Mark Mint Julep. The ownership of Maker’s Mark has changed a bit over the years and currently resides in Japanese hands as part of Suntory’s acquisition of Maker’s Mark and Jim Beam in 2014. Being an avid planner, I hit the Maker’s Mark web site a month before our visit to scope out the options. On the tour page, after the standard details, is a single line with a link: “Special tour information.” Jackpot! Instead of the basic one-hour tourist bonanza, I booked us on the “Beyond the Mark” tour, which promised to show much more of the inner-workings of the distillery. Better yet, the tour size is limited to twelve people, far fewer than the giant groups we saw on the standard tour. The only catch is that you need to book the Beyond the Mark tour in advance, and the tour isn’t offered every day, so plan ahead – it’s worth it! If you only learn one thing on a Maker’s Mark tour, it’s that they go the extra mile to ensure that their product remains the same, bottle after bottle, year after year. A group of testers at the distillery continuously blind-test newly made spirits with control samples from batches made years ago. 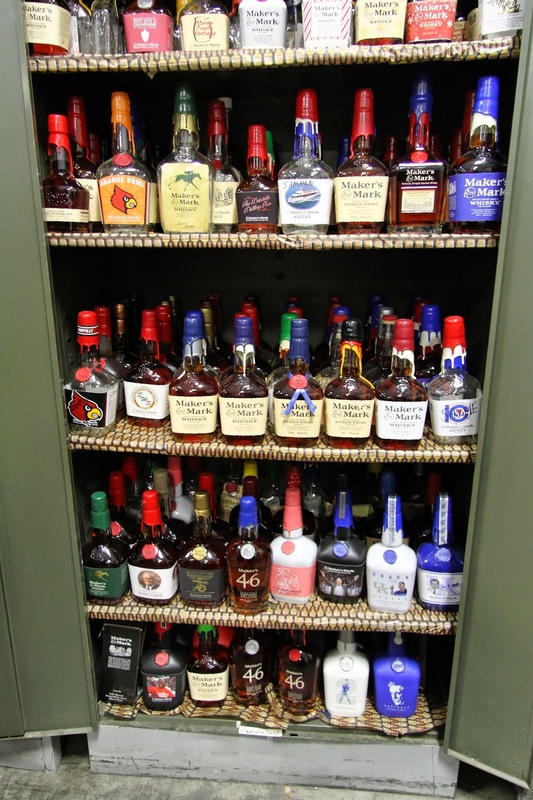 There’s an on-site laboratory with gas chromatographs to ferret out variations from the standard reference bourbons. If any non-trivial difference is detected, they launch an investigation to get to the bottom of what changed. 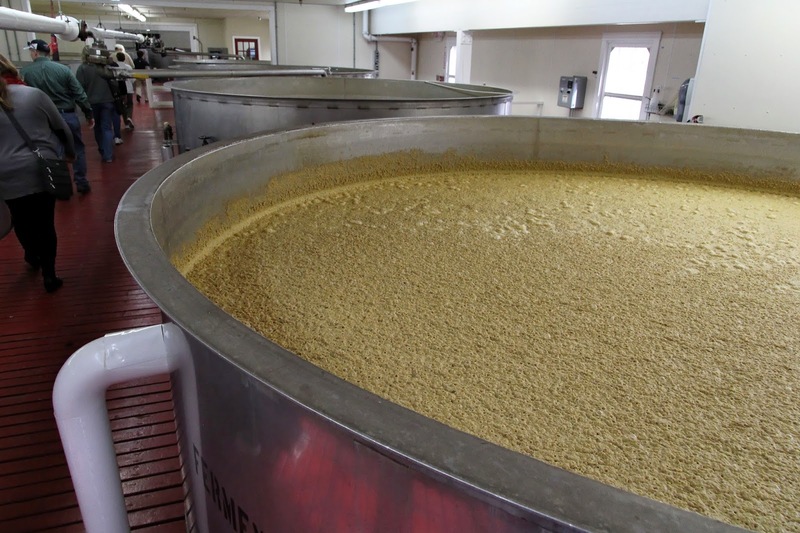 Even the aging process gets the meticulous approach to consistency. It’s a well-established fact that the location of a barrel in the rickhouse affects how flavors are imparted. 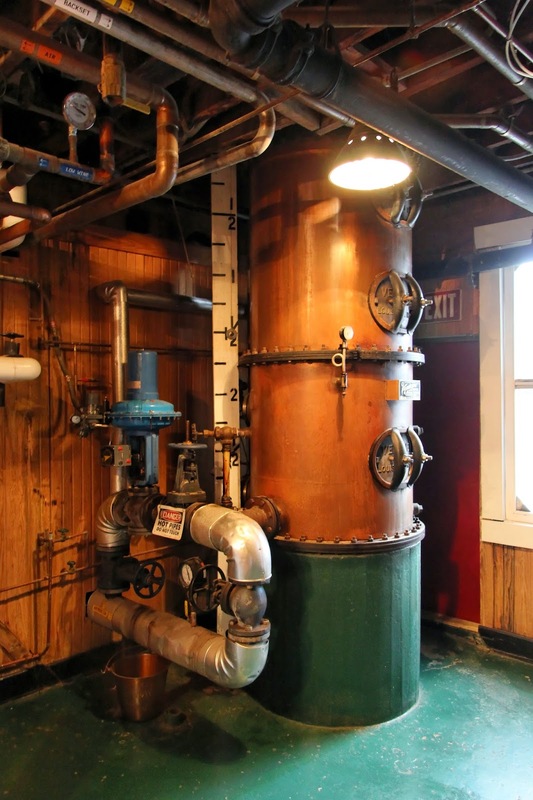 For instance, in the summer, the upper floors of the rickhouse are hotter than the lower, changing the rate and type of flavors that result from the aging. Many distilleries simply mix a blend of barrels from different parts of the rickhouse to even out the differences. 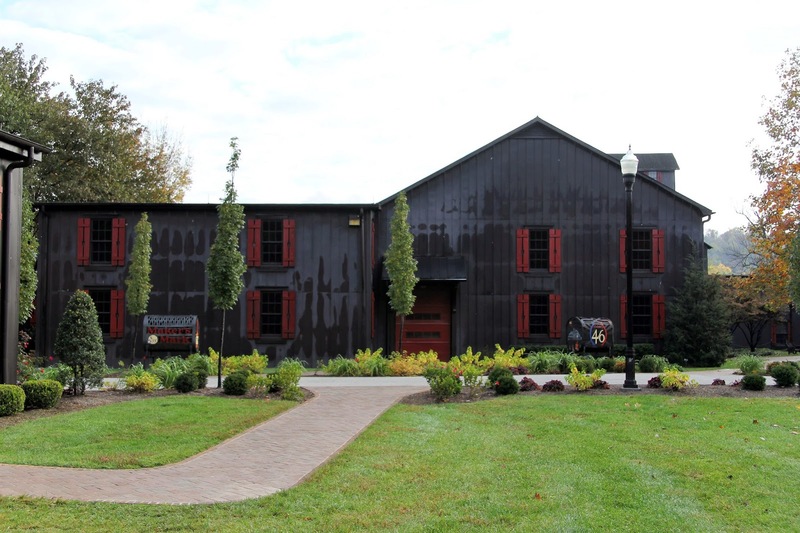 However, Maker’s Mark rotates every barrel through different locations in the rickhouse to make each barrel as similar to the others as possible. This is a very labor -intensive process when you’re dealing with 500 pound whiskey barrels jammed together in close quarters. 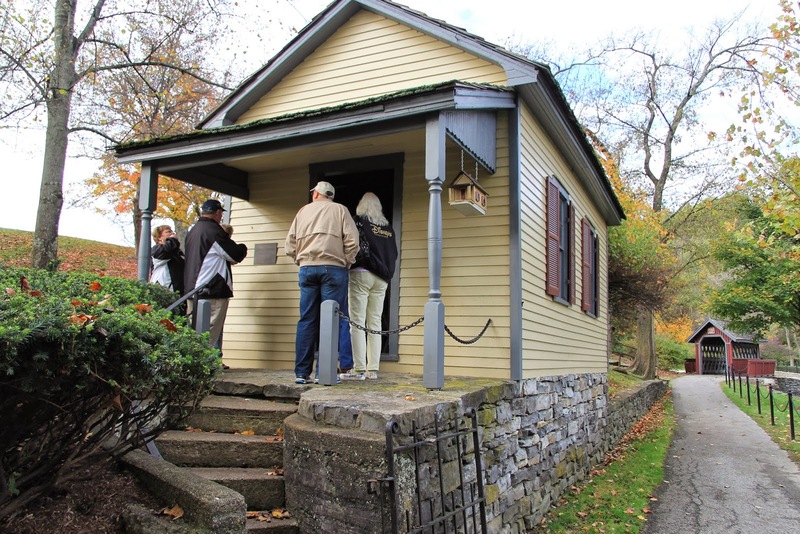 It’s a short walk from the house to the first stop, the Toll House – a tiny yellow cottage that once served as the office for collections on the toll road. And just maybe you could acquire some bourbon while there. Another short walk alongside a stone-lined stream bed brings you to the distillation building. 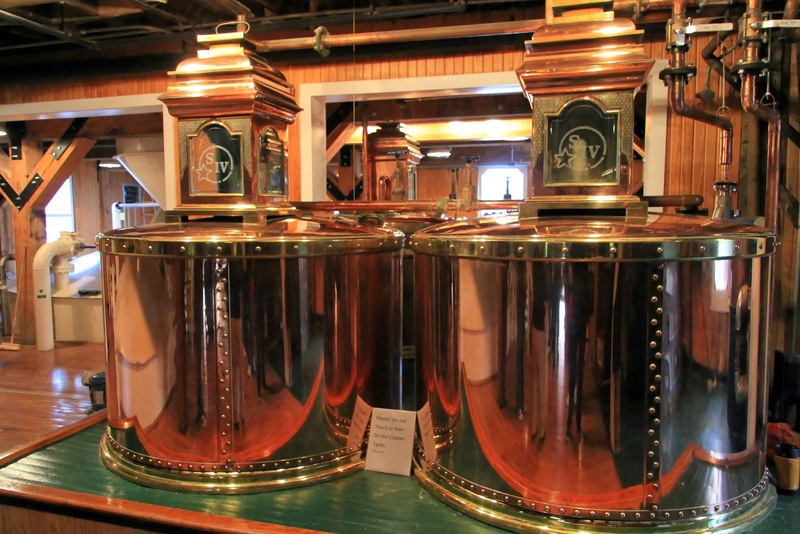 The first stop inside features the two spirits safes and collecting tanks–perfectly polished copper, as you’d expect. 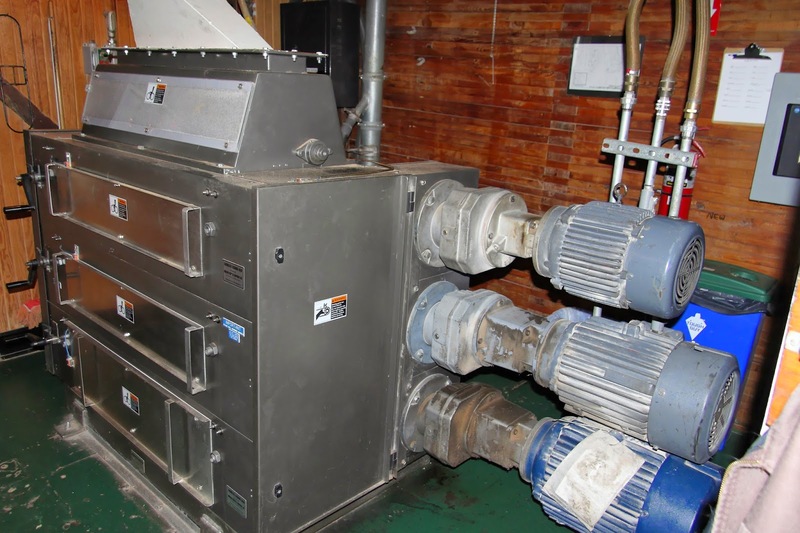 To the side is a very large and noisy electric mill with multiple motors for grinding the corn, wheat, and barley that comprise the mash bill. Close by is one of the three copper Vendome column stills; a fourth is coming soon. Our guide collected a sample of high-proof new-make spirit pouring through the spirit safe in a long handled cup and passed it around for smelling and tasting. Just beyond the mill, spirit safe and still are the mash cookers, fed from overhead hoppers. With the distillation building under our belts, we took a short walk to a single story building across the way. 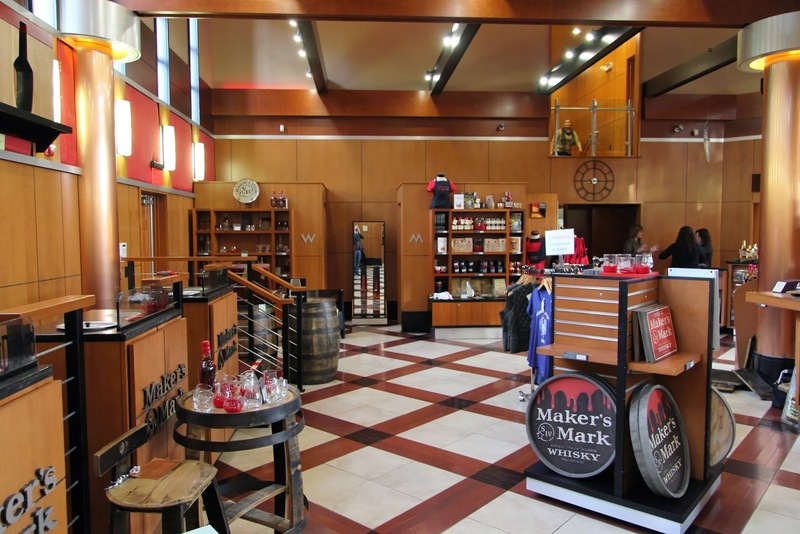 Insides lies the heart of Maker’s Mark’s consistency from bottle to bottle – their quality control laboratory. 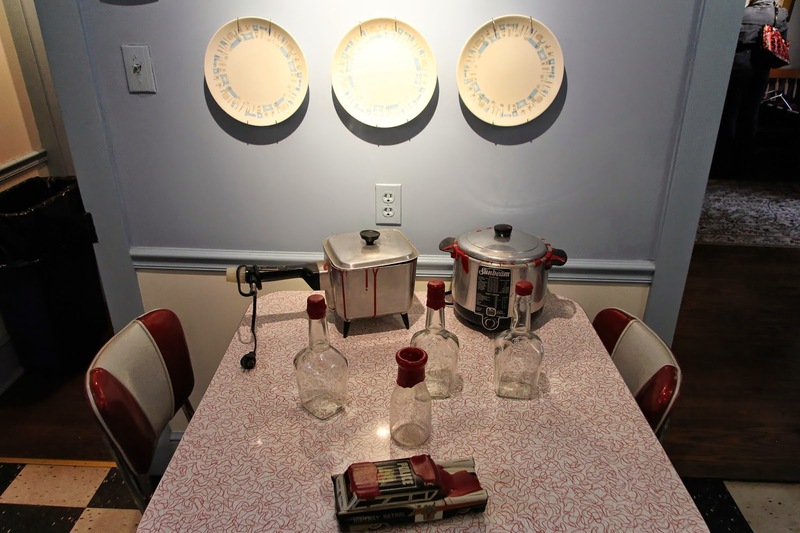 A table in one room is set up with dozens of glasses. Some hold unaged distillate, others hold aged spirit. It’s here that a dedicated panel of tasters does blind three-way tasting of newly made spirits vs. saved samples from months or years previously. They don’t know which glass(es) contain the new spirit and which have the older spirit—just pure human sensory testing. Any detected difference between samples is cause for a closer look. 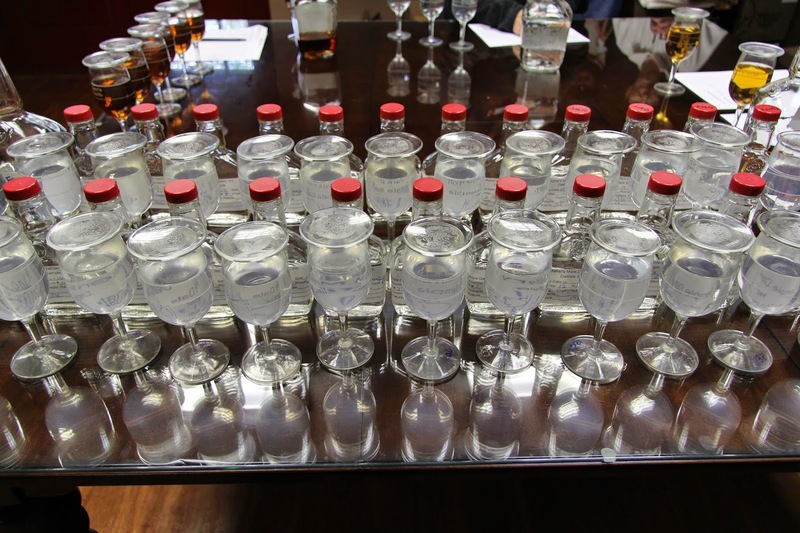 In order to test continuously and run investigations, the distillery maintains a vast library of their prior releases, so direct comparisons can be made on the spot. 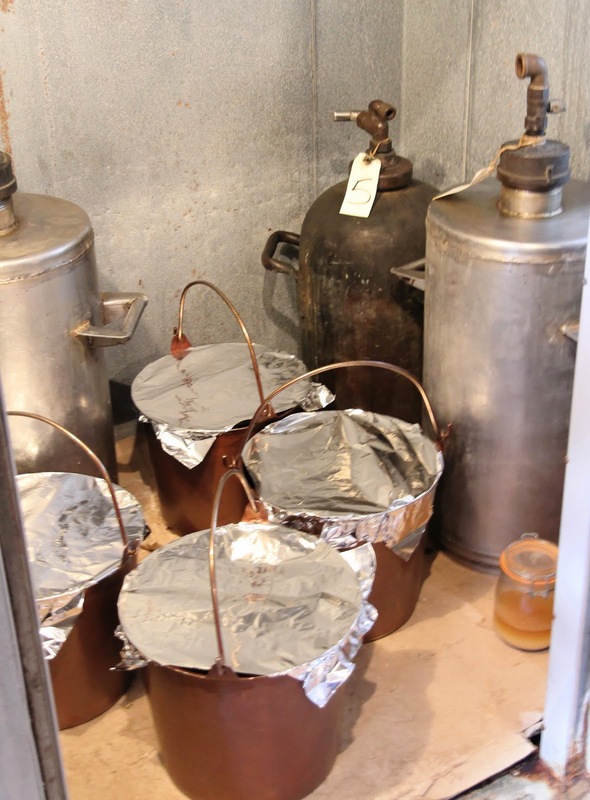 In an adjoining room and upstairs is high tech scientific laboratory equipment, including four gas chromatographs that allow for extremely accurate studies of chemical composition. We were lucky to have one of the scientist who works in the lab speak to us for a bit about their processes and investigations. Any complaints from customers made about the quality of a bottle are investigated by the lab. One story she recounted was of a man who complained of a bad bottle—he had been a Maker’s drinker for years, but something was very wrong with this bottle. 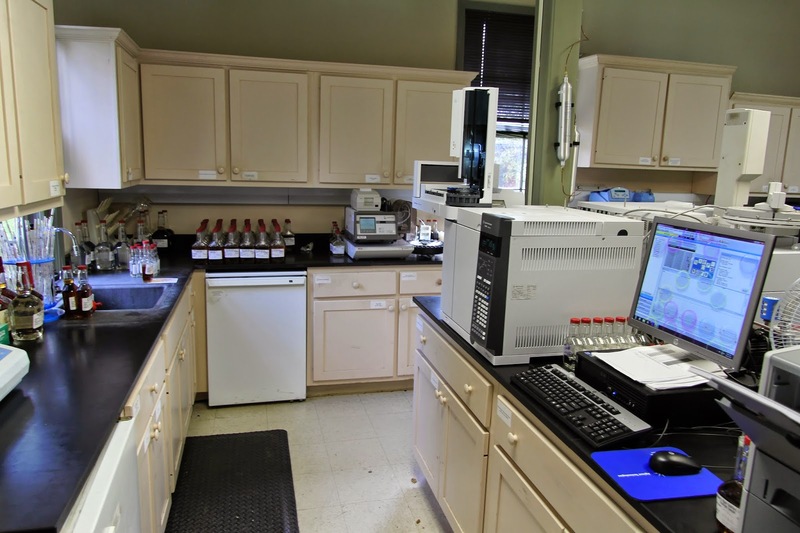 The lab’s investigation proved every teenager’s trick—adding water back to the bottle after you sneak your dad’s booze–is easily caught when you have a chromatograph at your disposal. Leaving the laboratory we went into a small rickhouse where we saw the traditional charred American Oak barrel with a section of it removed to view the insides. It was here that our guide told the story of how Maker’s 46 came to be. Along with the regular barrel, a second cut-away barrel showed the charred French oak staves arranged inside it in a three-dimensional grid pattern, responsible for the primary difference between regular Maker’s and Maker’s 46. And where did the “46” come from? 46% alcohol by volume? Some magical formula? Margie’s age when she started dipping bottles in red wax? Sadly, no. It was barrel-stave test batch number 46 that proved the favorite…and won out in the naming contest when nothing better was agreeable. Next up is a short stop at the printing room, one of the experiences unique to a Maker’s Mark tour. 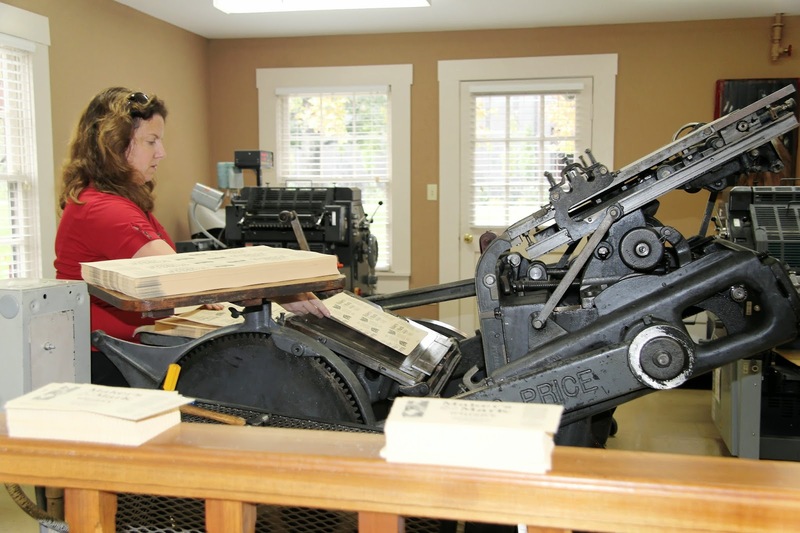 Every bottle label is printed on old printing press, fed by hand by the printer herself. Each label is also die-cut by hand with the distinctive deckled edge. A display case showed several special commemorative bottles, which Maker’s produces and bottles for various fundraisers and special events. 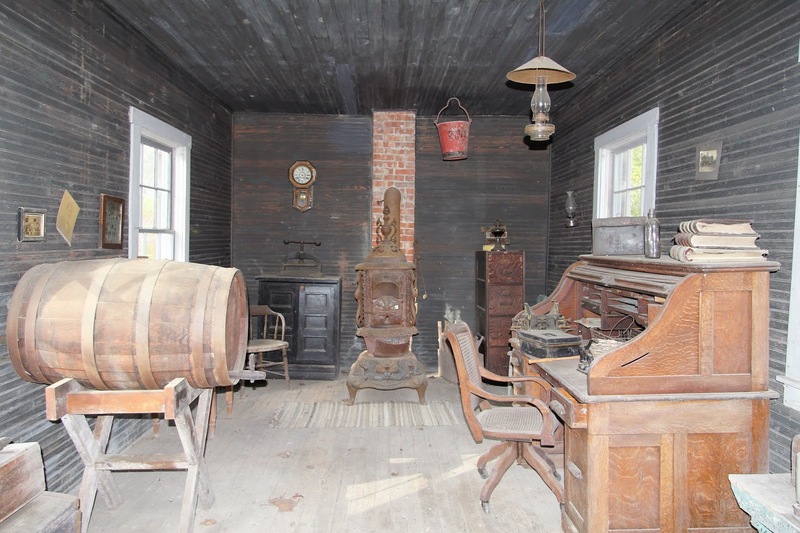 Another jaunt across the grounds takes you to the special projects room. There, a few employees craft the special details that make up a commemorative bottle – mostly this is a custom set of wax colors and a custom label. We peeked inside a cabinet to see dozens of different commemorative bottle releases, and several more cupboards containing even more. (Including a special release for our hometown Seahawks’ 2014 Super Bowl win—with green and navy wax.) 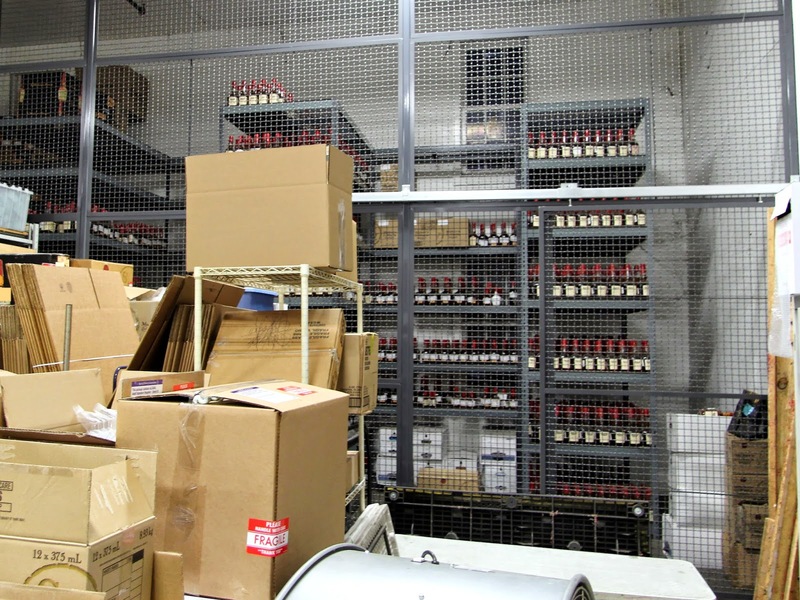 In an adjacent locked area we could see hundreds of regular bottles, samples from prior runs going back who-knows how many years—the Maker’s Mark quality control library. But wait, there’s more! The bottling facility itself is a visual spectacle. 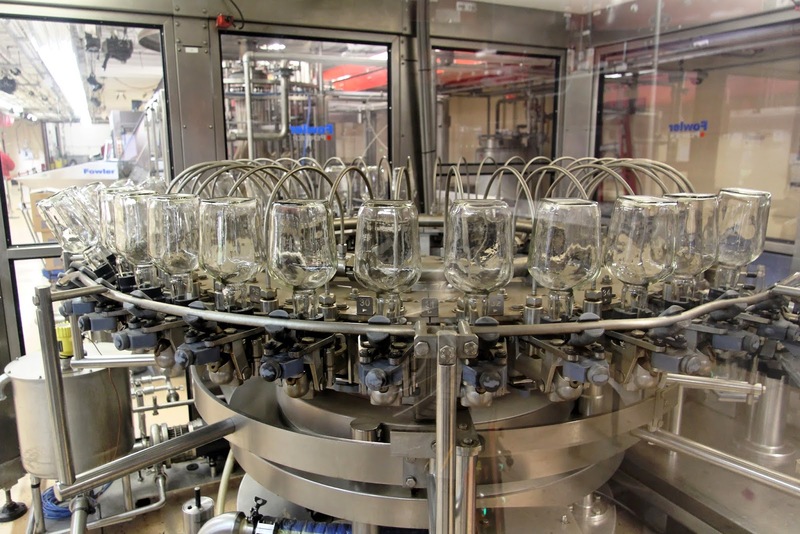 It’s extensively automated, but relatively small compared to nearby Heaven Hill’s facility, which is an assembly line of massive scale which I’ll cover in a future post. Here at Maker’s, the line is a combination of automation and human touch. At the start, bottles are gathered, inverted, and rinsed with whatever final product will fill them (as we were told, Why rinse with something that will water down the end product?). 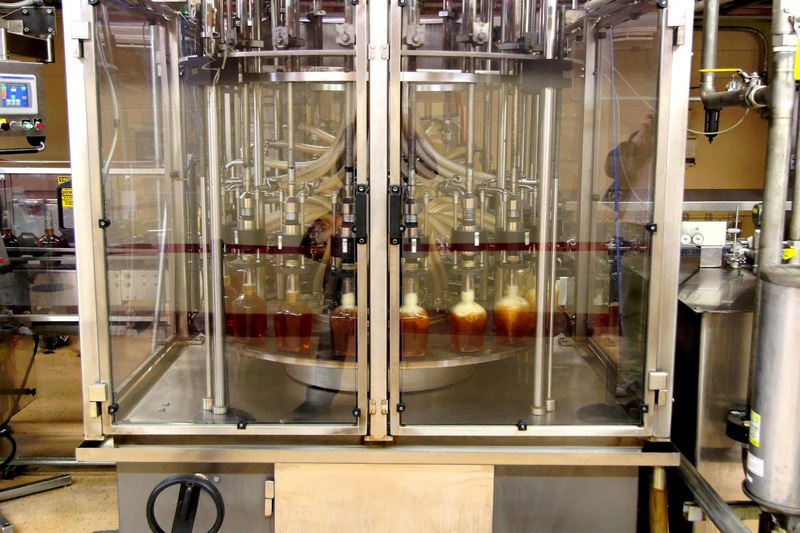 Bottles are then returned upright and filled in less than three seconds. Labels are applied and caps inserted. And finally, the payoff moment: As the bottles near the end of the line on the conveyor belt, a small team of about six employees grasp the bottle, dunk the top in wax, twist with a flourish, and return it to the belt for a trip through the cooler (to help harden the wax) and into a shipping case. With the touring finally finished, it’s time for a tasting! The tasting room area occupies one end of a long building, and is divided by glass panels into four rooms, allowing for multiple tastings at the same time. In addition to the regular Maker’s and Maker’s 46, we also tasted samples of Maker’s that hadn’t been aged long enough, or had been aged too long, to aid in comparison. Since we were on the fancy tour, we received a pair of wax dipped Maker’s Mark rocks glasses to take home. With the tasting completed, but still in the building, we walked through a small rickhouse mockup and admired the fanciful Chihuly glass ceiling commissioned by the current owners of Maker’s and just opened this year, including a few glass angels guarding their share. And then, at last, a final door…What’s behind it? Surprise! Exit through the gift shop. All in all, a great day in a picturesque location. One word of note from Mrs. Wonk if you are traveling from Bardstown to Loretto and rely on Google Maps to get you there: Our guide asked early on in the tour how our drive was to the distillery that morning. It turns out that about half of us took what locals jokingly refer to as “GPS Road”—a gorgeous but sometimes single lane “highway” that gives new definition to the phrase “scenic route”—the default route courtesy of the computing megamind at Google. The gift shop offers helpful pre-printed direction cards back to Bardstown or to other local distilleries. Which is good, since your cellphone will have very limited service out there anyway. No worries, just put it back in your pocket and enjoy the scenery. Also, the Maker’s Mark tour is great for photographers. There were no restrictions on what I could photograph, and just about everywhere you look is a gorgeous photo opportunity, especially on a crisp autumn day like we had. 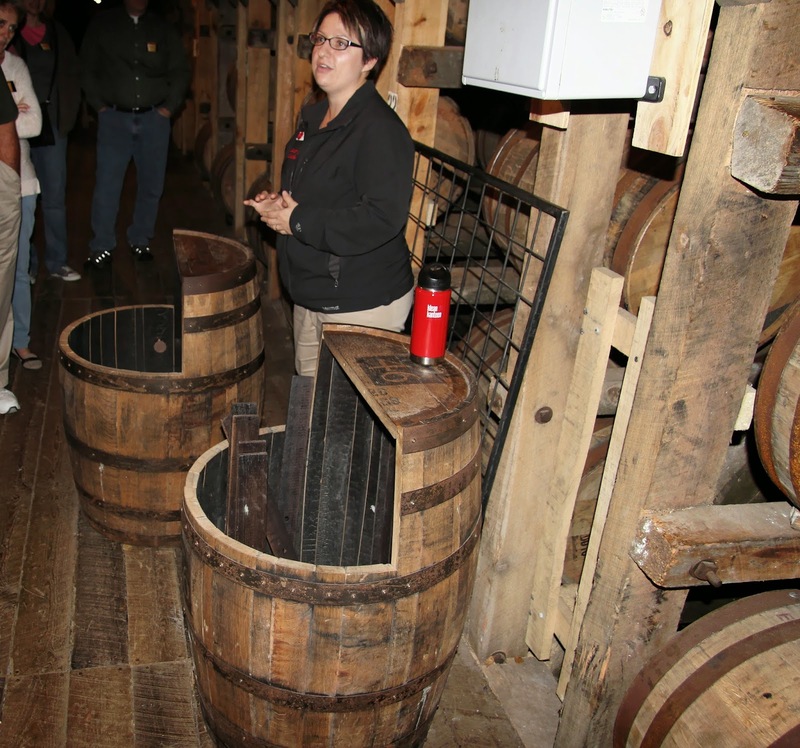 For more photos from Maker’s Mark, see my SmugMug gallery.